If you do not want your personal data collected, please do not submit it to us. When you do provide us with personal data, we may use that information in the following ways, unless stated otherwise: we may store and process that information to better understand your needs and how we can improve our products and services; we may use that information to contact you. We do not now and do not intend to sell, rent or market personal data about you to third parties. It wasn’t long ago when art collecting was exclusively part of the realm of the elite. Thankfully, the playing field has somewhat leveled as many can now rely on cheaper, print-on-demand capabilities and lots of online sources for original and beautiful art pieces. Art is more accessible than ever, and Toronto is filled with plenty of options for newbie buyers looking for remarkable pieces to spruce up a condo and liven up living spaces– without having to break the bank! 1. Eye Buy Art, is a notable Toronto-based online site that sells artwork at accessible price points. They offer price ranges on their front page at various tiers starting at $35 to over $1500. You can also search through their large collection by size, artist, and colour, which is helpful in tailoring your browsing to your preferences and budget. 2. 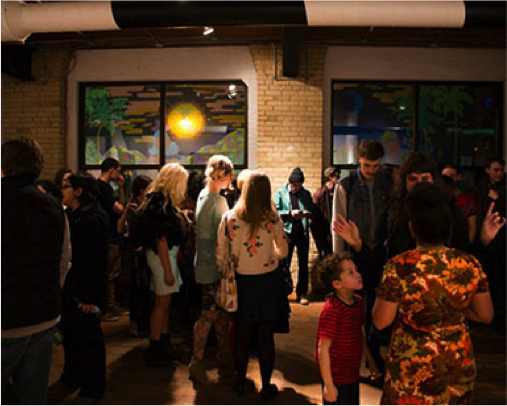 Gallery 44, a non-profit artist-run centre, mainly focuses on photo-based art. They hold awesome sales throughout the year, which showcase collectable photography artwork at affordable price points. Check out their online shop where their selection of exhibition catalogues are available for $5. 3. 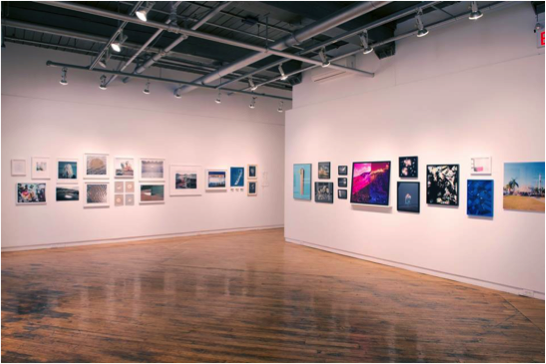 If you believe in supporting young local artist, the OCAD U Student Gallery should be your first stop on your affordable art hunt. The OCAD student art shows display works by up-and-coming OCAD artists. You will be blown away by the level of pure talent and creativity coming out of our own city. Other spots to find works by young artists include LE Gallery and the Black Cat Gallery, both on Dundas West. On the east end, check out Project Gallery which features plenty of works priced below $500. 4. Art Interiors believes in an affordable and accessible approach to art collecting, and that everyone should be able to own an original work of art. 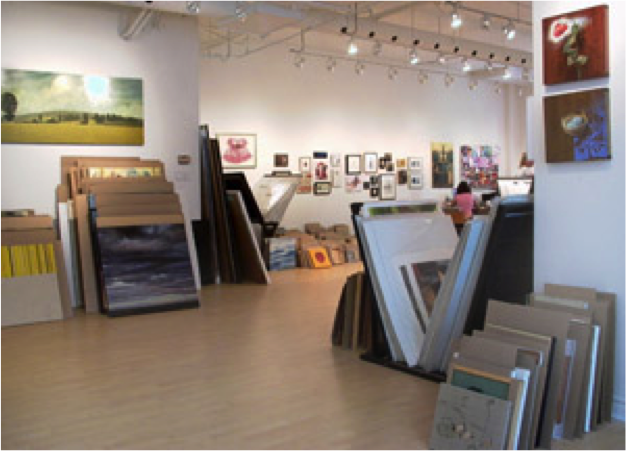 Both their online and Toronto store, represents an extensive roster of artists with many different artistic styles, and features a wide range of price points to suit most buyers budgets. Whether you’re willing to spend $25 or $6,500, there will be something for everyone! 5. Visiting local art fairs and events is one of the best ways you can find original art pieces for a fair price. 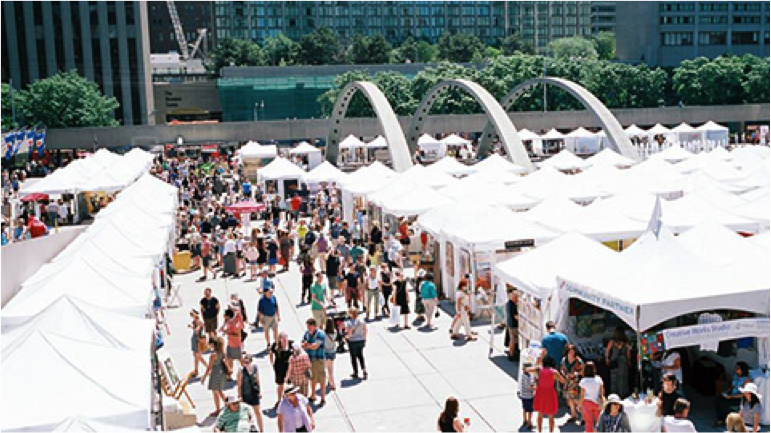 Make sure to check out art events such as the Toronto Outdoor Art Exhibition, which takesplace in July. Don’t miss dropping in to other must see art events including the monthly#ArtMrkt at Hashtag Gallery and the annual Love Art Fair at Exhibition Place. 5 Simple Recipes for Football Sunday! Follow us to explore everything King East. Private Service Realty Ltd, Exclusive listing broker.